For the past 23 years, Prasso Ministries has helped many people examine their lives and relationship with God. They offer Bible studies for women, men, and teens and an online course. 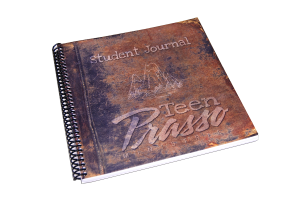 We had the opportunity to review their teen study which included two sets of books - the Teen Prasso Teacher’s Manual and the Homework Manual. “Prasso” is a Greek word meaning to practice, to form a routine, or to perform repeatedly and habitually and that's exactly what this teen study offers. The Homework Manual continually points your student back to God's Word. It is consumable so you will need one for each of your students to fill in. It sells for $15 and comes in spiral bound form. The course is designed with a small group setting in mind but we found it to be easily adaptable to our homeschool environment. 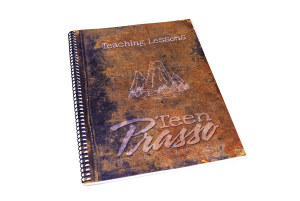 The Teen Prasso Teacher’s Manual contains a teaching outline of the 13 lessons. It is set up to be done in a weekly format but we took 2 weeks to complete one lesson. It also includes tips for asking good discussion questions as well as great tips in how to deal with a diverse group. It can be used over and over again for each of your students. It sells for $35 and comes in spiral bound form. The Weekly Teaching Lesson - this if found in your teacher's manual with complete outline details including teaching tips, message goals, discussion points, and prayer reminders. During the 13 Lessons, you will follow the journey of faith between two boys, Derek and Brandon. The stories include some of the same obstacles that teenagers today are facing and offer a great opportunity for discussion with your teenager. The Daily Homework Manual also called the Student Journal - this is where your student will spend the majority of their time. It includes a weekly memory verse and questions of truth to answer and apply in their daily lives. The lessons can be completed in less than 20 minutes per day and often have your student writing out Bible verses. The Weekly Discussion - This is a time of discussion between you and your teenager. It is a time where they can ask any questions they may have about the lesson and a time to answer how they can apply what they are learning in each lesson. There are also a group of discussion questions listed in the student journal to help you get the discussion flowing. I decided to use this study with my oldest who is currently in 11th grade. He has completed many different types of Bible studies and said, "this was his favorite format". He liked that we had the opportunity to discuss the questions together and that it didn't take up a large portion of his day. As I stated earlier, we took two weeks to complete a lesson and that schedule worked great for us. We did the study 4 days per week using the following schedule. I love that I can continue to use this study with my other two children as well by just repurchasing additional student journals. Find out more about Prasso Ministries by visiting their Website and Facebook pages.